For most people in the U.S. a vacation in sunny Hawaii would be at the top of their lists. However, living in Hawaii is even better than that said Hawaiians. 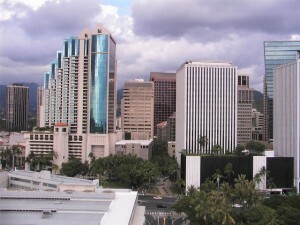 For the fourth consecutive year Hawaii was given the ranking as No. 1, as the U.S. state where residents report the best sense of well-being overall, based on their physical health, job satisfaction, outlook on life as well as other factors affecting the quality of life. This is according to an annual Gallup Well-Being Index released this week. There are other states consistently ranking in the top 10 in the index each year between 2008 and 2012 and they include Montana, Colorado Minnesota and Utah. People living in those states tend to have rates that are lowering in obesity and less medical problems like heart disease, type 2 diabetes, as well as chronic pain. The population also reports enjoying their employment more, have smoking rates that are lower and exercise more frequently than the residents in states ranking lower in the index. There are five states with the distinction of always being in the bottom 10 of the list each year since 2008. Those five are Mississippi, Arkansas, Ohio, Kentucky and West Virginia. In all, 53% of the adults rated their overall lives as thriving during 2012, about the same as in 2010 and 2011. The others surveyed during 2012 felt that they were struggling or suffering. Close to 60% of the people in Hawaii that were surveyed said, they were thriving versus only 45% who live in West Virginia. The research is sponsored by Healthways, well-being company that works with families, individuals, communities and businesses to improve overall well-being so costs of healthcare are lowered and productivity improves. The top five states in the index were Hawaii, Colorado, Minnesota, Utah and Vermont.